Call 8-Ball Bail Bonds 24×7 for immediate assistance or FREE consultation on how we can help you or a loved one secure bail. For any questions, updates or inquires email 8-Ball Bail Bonds 24×7. Representatives typically respond within minutes to answer any question you may have. 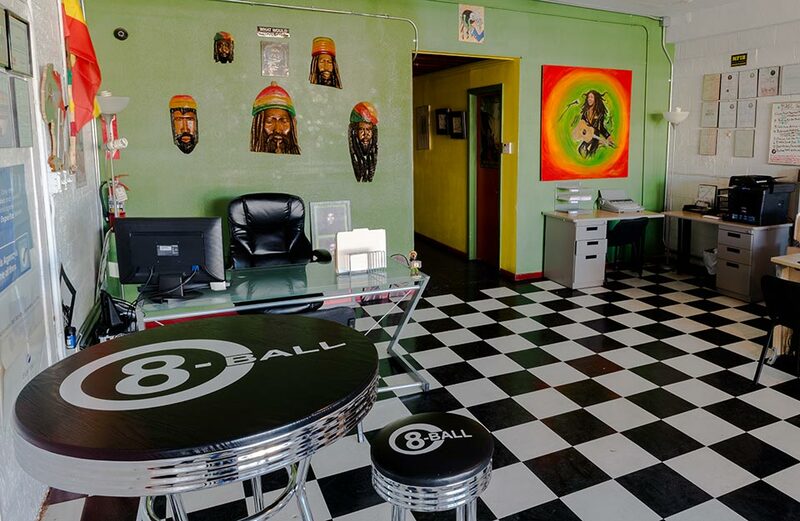 8-Ball Bail Bonds is conveniently located downtown at 1114 S Main St Las Vegas, NV 89104. Our office is available and open 24×7! 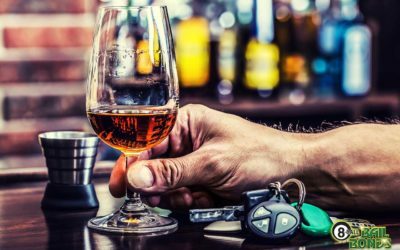 8-Ball Bail Bonds offers easy credit / payment plans with as little as 5% down (on approved credit) and numerous payment options to choose from. 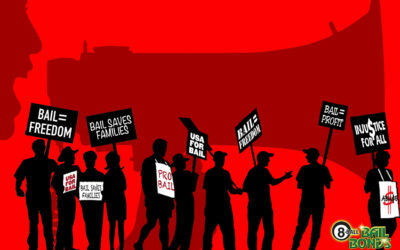 8-Ball Bail bonds informs our clients of their rights and options during the bail process. We thoroughly notify our clients of how posting bail works and help every step of the way through the process. At 8-Ball Bail Bonds we work with our clients to find the best payment options for them. 8-Ball charges the minimum fees allowed by law and offers flexible payment plans with as little as 5% down. 8-Ball Bail Bonds immediately notifies court to finalize arrangements of posting bail and quickly secure the release of the defendant. Clients are provided with all contracts, agreements and itemized receipts. 8-Ball has been serving the Las Vegas / Southern NV area since 2008 and has a thorough understanding of the local court system, its policies, and procedures. We leverage our knowledge and experience to get clients the fastest, most pain free release possible. Once your case is in our hands, we work fast to secure your release. We understand that for a more successful day in court, your time is better spent at home with your family, friends, and at you place of employment. The less impact to your life, the better. 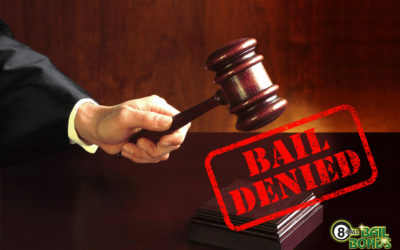 Acting in accordance with Nevada law, 8-Ball Bail Bonds charges a fixed percentage premium of the bail amount that is set by the state and nothing more! We are happy to offer low-cost credit options and payment plans to suit your financial needs. When you bail out with 8-ball, you pay only the bail amount determined by the court plus a state mandated minimum of 15%. We discuss any credit or payment plans with full transparency and open two-way communication, so there are no surprises. 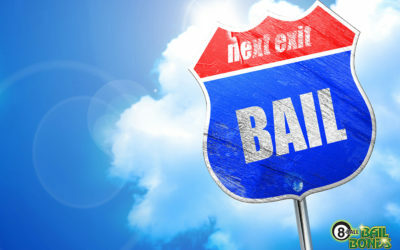 At 8-Ball Bail Bonds we believe that helping our clients understand the arrest and bail process can alleviate some of the grief and confusion often associated with incarceration of a friend of loved one. 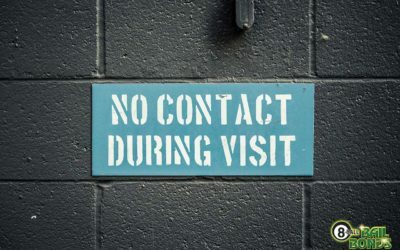 For this reason representatives of 8-Ball Bail Bonds are trained and always available to answer any question you may have, 24x7. Since 2009 8-ball Bail Bonds of Las Vegas has offered professional, honest service tailored to the needs of each individual client. 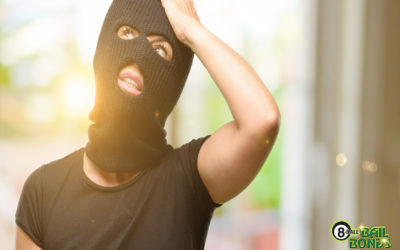 We understand the stress and inconvenience that accompanies an arrest and are committed to making the bail process as simple as possible by taking the extra steps to assist and guide you through the entire bail process. To Serve & help those who have been arrested get back to their families and lives until their opportunity for justice in a court of law. We leverage our experiance with Bail Bonds in Las Vegas to provide positive results while dealing with not-so-positive situations. In return we only ask that clients adhere to the laws & complete their obligation to the courts until their bond is exonerated. Our goal as a Las Vegas Bail Bonds provider is a relationship of mutual respect & voluntary exchange. 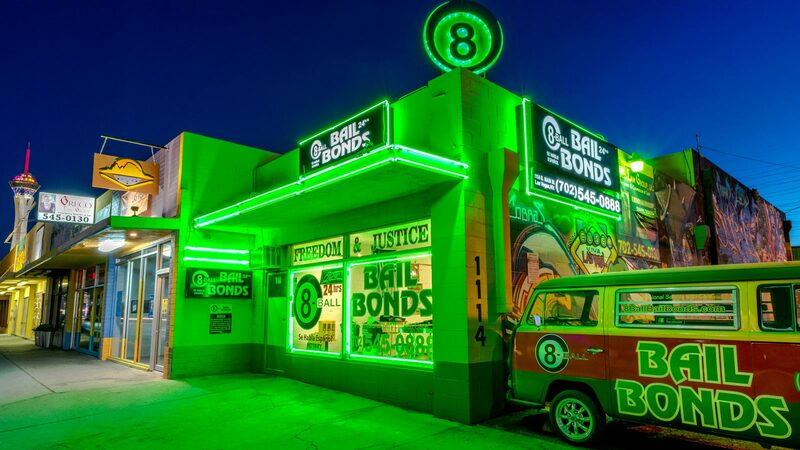 At 8-ball Bail Bonds of Las Vegas, we will always be professional, respectful & available to you 24x7. 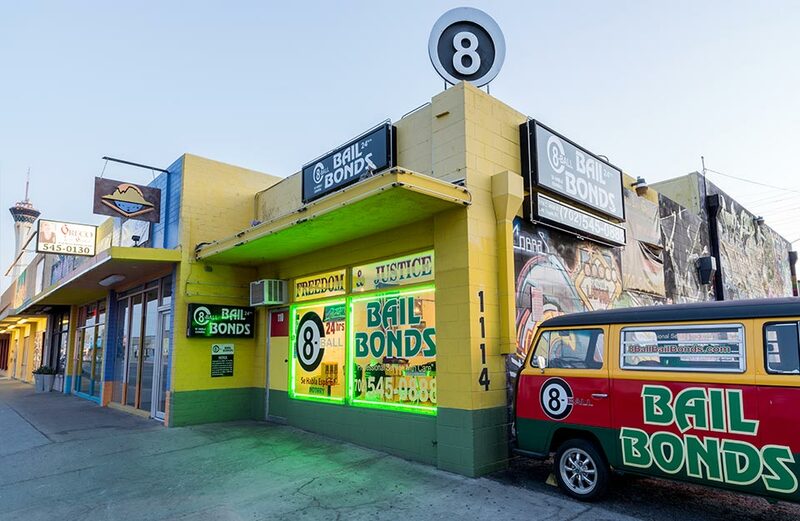 8-Ball Bail Bonds is conveniently located in downtown Las Vegas on the SE corner of W Charleston and Main St, east of I-15. Our office is open and staffed 24x7 for both phone and walk in assistance.